Hmmmm but this end does not matter as long as there's correct flow of filament on the tip? The only link is Don. Are you still looking for the 15 degree drill guide? I'm using my mill... sorry, but that works for me so I have no guide to make. Wait... Bo... what are you working on? Can't you give this how-too a try? It's the perfect BETA trial!!! 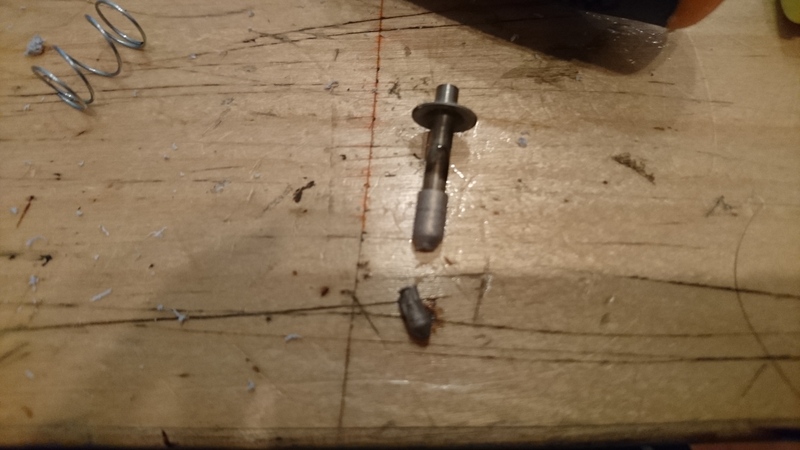 OK so I closed shut the 15º guide ready to drill....but....which drill bit? how long? where do I stop!? Drill size 2.8mm for stock tubing; 3.0mm for aftermarket tubing. Check that your tubing fits in the stainless steel tube part of the nozzle. I thought he was trying to put an M5 quick connect on the hotend? You mean i have to open the guide every time to see if i reached the seam? Check the depth before you even close the guide and put a marker like tape or something on the drill bit so you know how far to go. few seconds after noticing the tip was starting to bend!